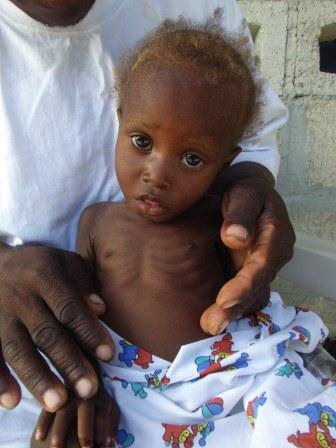 It’s been over a year and a half since we’ve updated our readers with a report on the great things that CHRF and our partners are accomplishing in Haiti with YOUR help, and that’s far too long (https://chrfund.wordpress.com/2013/03/13/childrens-hunger-relief-fund-in-haiti/)! Since our CHRF team visited Haiti last year, our partners have produced some truly incredible miracles, including SAVING the LIVES of young, innocent, abandoned, sick and starving children. When we read that last line do we really let the reality of what is happening sink in? Thanks, in no small part to CHRF and our committed partners and donors, children’s lives are being saved! It takes good people like you to help make stories like this possible! Thank You For Helping Children Like This Baby Girl Find The Help She Needs to Stay Alive! Feeding: Our partners are working hard to provide malnourished children with the nutritious diet that they need in order to fully recover. Currently in 2014 over 450 patients are fed monthly! 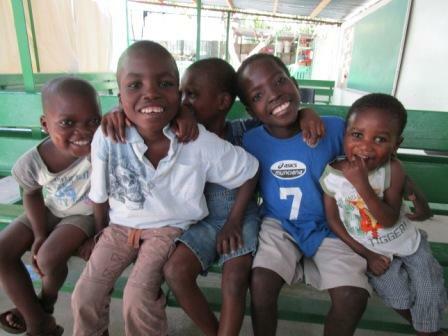 Thank You For Helping Feed Beautiful Children Like These in Haiti! Cholera Prevention: Cholera has taken far too many lives in Haiti. Fortunately, thanks to the dedicated medical staff of nurses and volunteers, our partners have helped treat over 8,000 patients suffering from cholera-like symptoms! Mothers walk with or carry their children for miles in order to receive care from our partner’s medical clinic, as it’s known as one of the best in the surrounding area! 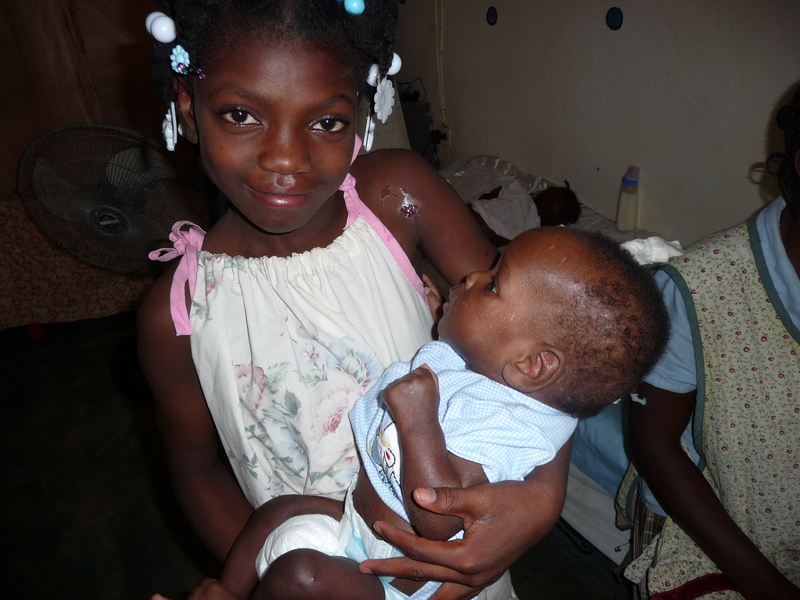 Our Partners Treated Over 38,000 Patients Last Year in Haiti! Thank You For Your Help! Medical Clinic: Last year our partners treated over 38,000 patients! Many of these patients were young abandoned children who were literally starving to death! Thanks to our partners many of their lives were SAVED. At CHRF we are dedicated to continuing helping hungry and sick children around the world as well as their families. We want to thank each and every one of our donors for supporting our mission for over 38 years now! Look At All Of The Food! 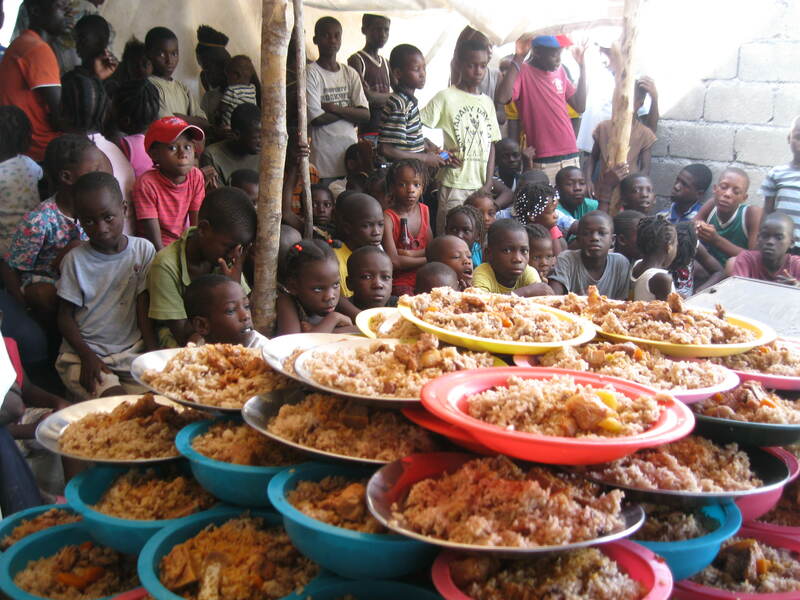 With Your Help CHRF Can Help Our Partners In Haiti Feed Hungry Children! Please keep the children and desperate families of Haiti in your thoughts and prayers. You’ve heard the terrible stories of eating mud pies “dirt” for meals, the terrible disease of cholera and now a drought that has dried up many of the gardens and farms. No one in this world should go hungry, especially a small innocent child. We thank you for your prayers and support! Gallery | This entry was posted in Haiti and tagged children in haiti, feeding children, feeding hungry children, feeding orphans., feeding starving children, Haiti, Help Haiti, helping children in haiti, helping feed hungry children, Hunger, medical clinic, medicine, medicine in haiti. Bookmark the permalink.